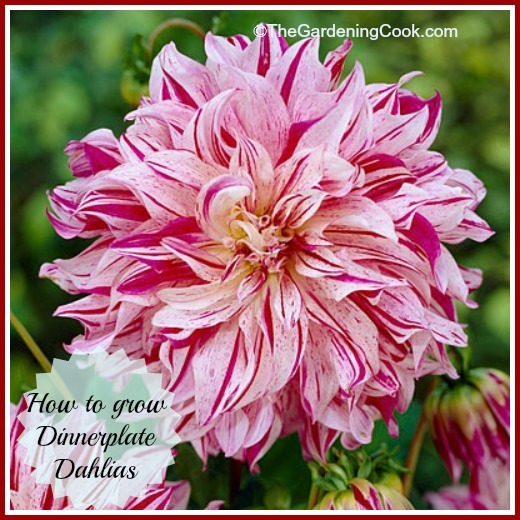 Dinner plate Dahlias are not plants that one would call shrinking violets. These majestic plants command attention in a garden bed and also need plenty of room to grow and flower. I love dahlias and zinnias…and cone flowers….and on and on. Basically anything that looks even somewhat like a daisy – my birth flower is a favorite of mine. 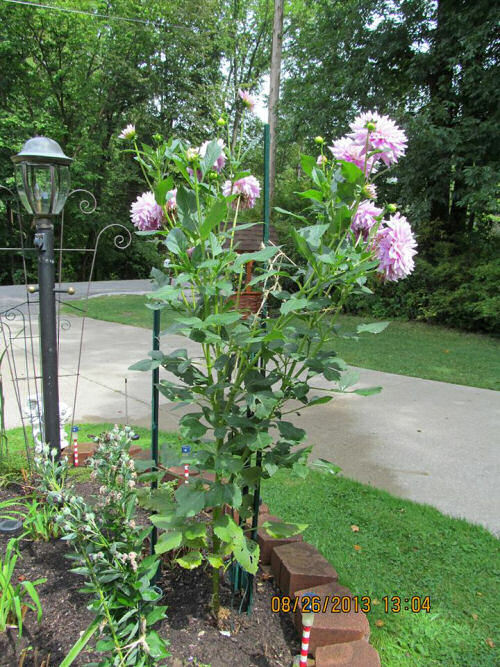 Dahlias are not an easy plant for me to grow in my zone 7 b garden. There are some winters when it MIGHT over winter, but I never take the chance. These are tropical plants, afterall. I dig them up in the fall, wash off the dirt and dry them out. Then I store them in peat moss and replant in the spring. Here is how to grow these beauties. 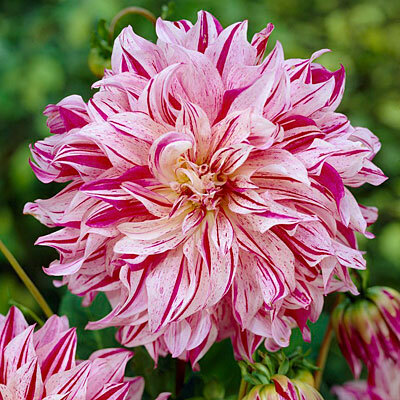 Dahlias are grown from tubers. 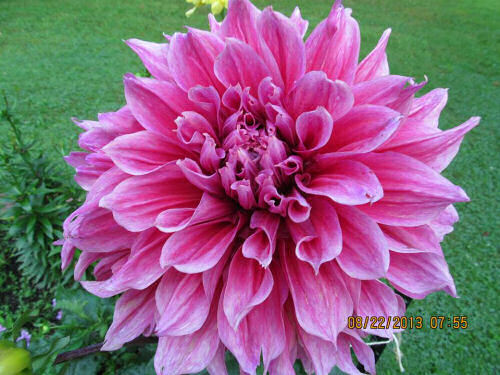 If possible try to select those that come from plants with very large flowers. These beauties aren’t called “dinner plate” without good reason. You will want a show of very large flowers. Plant in the spring when the ground is consistently above 60 degrees. This might be as late as May or June in some colder regions. The hole should be twice the length of the tuber. Add some organic matter to the hole and space your tubers 36 inches apart. They need room to spread! Fill the hole just up to the base of the stem with the stem sticking out of the ground. As the plant grows, gradually add more soil up the stem. This will make the plant much stronger as it grows and gets heavier. Begin watering when the plants are actively growing, watering regularly and deeply to encourage deep roots. 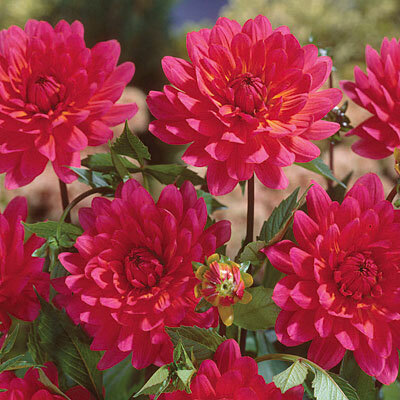 the flowers of Dahlias are heavy so they will need staking. In the fall, the first frost will kill your leaves and flowers. Dig up the tubers, wash off the dirt and let them dry out. I store mine in peat moss in a cardboard box in my unheated laundry room that is attached to the house. The peat moss might need a bit of misting through the winter. Replant in the spring when the ground is 60 degrees and you will have another season to enjoy. 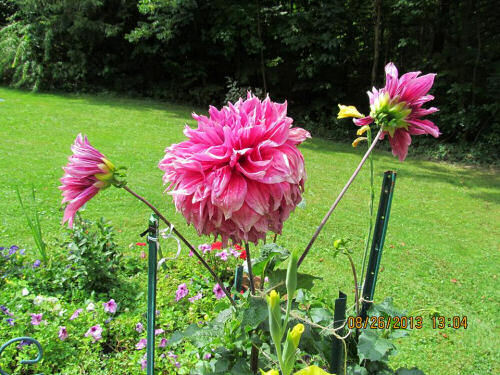 One of the Fan’s of The Gardening Cook on Facebook, Gary Longenecker, shared these photos of the dinner plate dahlias in his garden. A lighter pink Dinner plate dahlia. What a beauty! This photo shows the staking needed for the top heavy plants, Very pretty in a front garden bed. They are the show stoppers for sure! 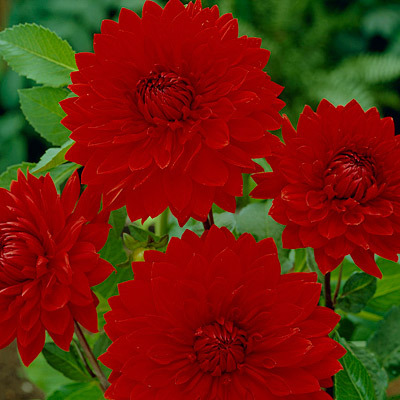 Dinner Plate Dahlia Babylon Red. The last three photos are courtesy of my affiliate Partner American Meadows. Where can I buy these, please? Beautiful. Thanks for your lovely post. I live in a Colorado at about 7000 ft. Can I grow these in large containers on my very sunny deck? They would grow but having them in containers would mean watering much more often. They would not overwinter though and would need to be dug up. Would you be interested in trading tubers? You can look at the ones I have on my website. 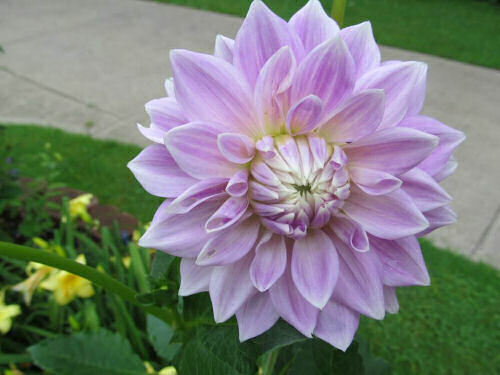 I will not be able to trade every dahlia because I sell bouquets and need a specific amount of each kind. Some of my dinner plate dahlias have not started growing. Most yard several inches tall. What should I do?